This card (5x7) is printed on semi glossy paper. Makes for a great card and gift. I travel and capture street signs that are people's first names. I already have over 500 names in my growing collection. If you need a specific name message me and i will let you know if I have it. 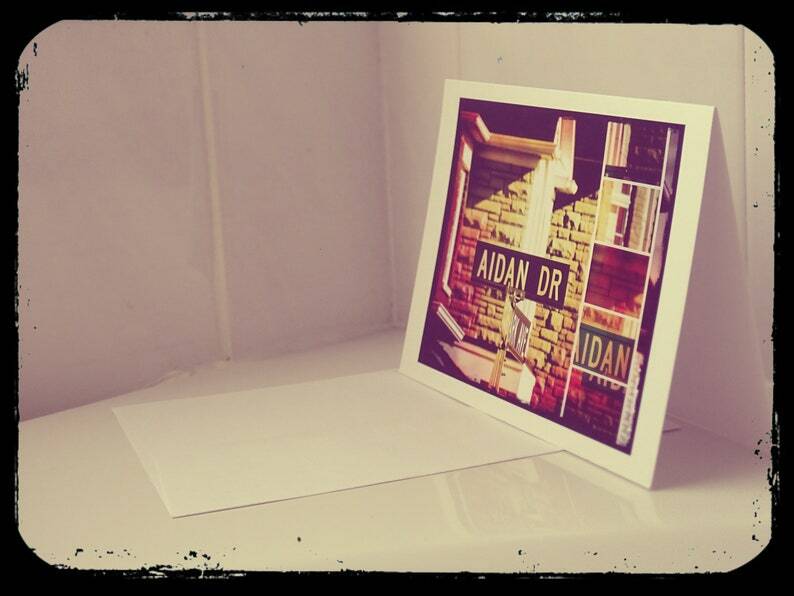 All my cards are 5x7 in size, folded, blank inside and come with a white envelope. Gift the card(s) with a 5x7 frame and the recipients can hang their keys right below. A unique card and gift in one.